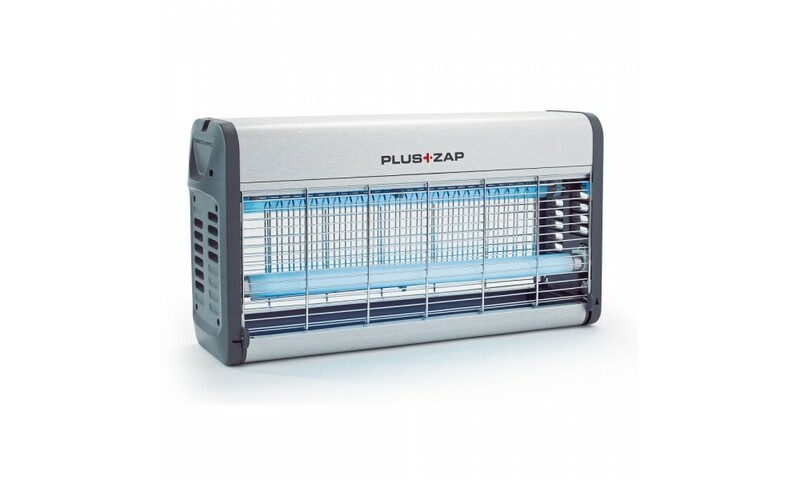 A bug zapper is a device that attracts and kills flying insects that are attracted by light. A light source attracts insects to an electrical grid, where they are electrocuted by touching two wires with a high voltage between them. The name stems from the characteristic zap sound produced when an insect is electrocuted. Plus Zap Bug Zappers utilise ultraviolet tubes to attract flying insects into the product, before zapping them dead on a high voltage killing grid. UV tubes attract flying insects by emitting a wavelength of light attractive to flies. 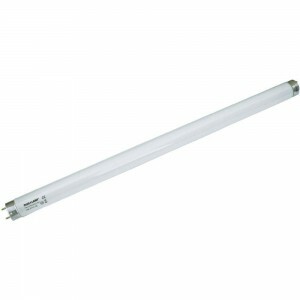 Flying insects are attracted to the tube which emits UV at a level comparable to that of the sun, which the flying insect has a natural attraction to as a source of heat. 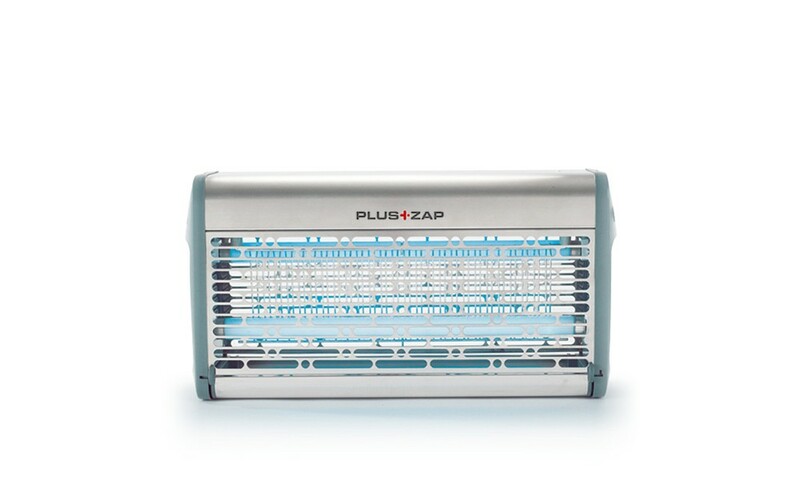 Once the flying insect has been killed, the Plus Zap Bug Zapper will retain the dead insect in a catch tray to allow hygienic disposal. 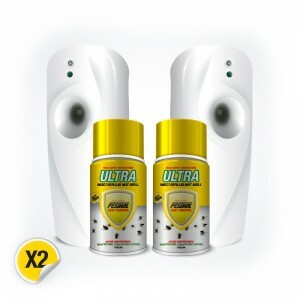 Plus Zap Bug Zappers are ideal for use in commercial backroom, commercial front of house and industrial backroom areas. The second generation Plus Zap Bug Zapper range offers a contemporary aesthetic combined with high specification features, creating a stylish killing grid range ideal for commercial environments. 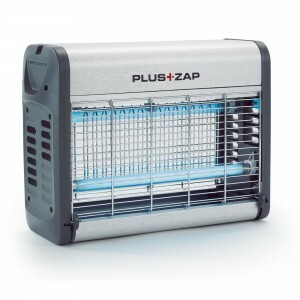 The Plus Zap Bug Zapper is available in an aluminium finish with 2 x 15 Watt globes. Placement of the Plus Zap is an area that is frequently misunderstood and there are a few simple points to observe. 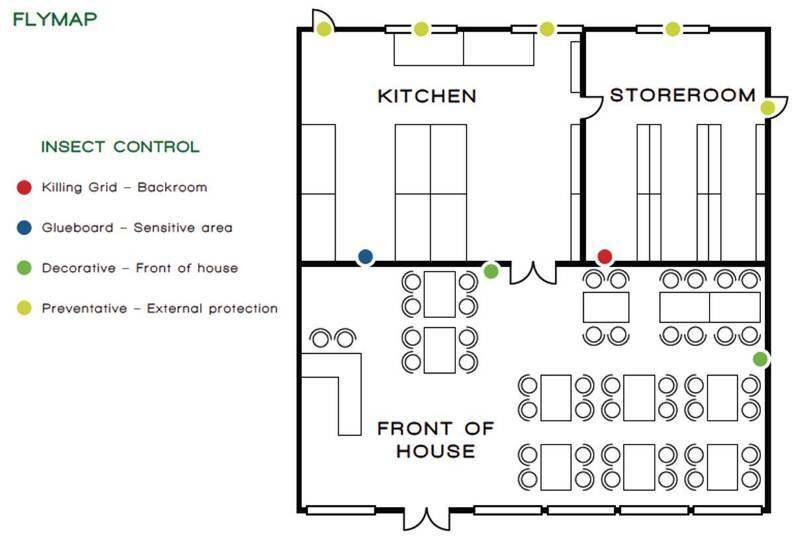 Firstly the height at which Plus Zap units are to be installed is important in terms of efficiency. As a general rule the higher up they are the less effective. In a working environment the ideal height would be between two and two and a half metres from the ground. At this height the risk of the Plus Zap units being damaged by moving trolleys or forklift trucks is reduced whilst maintaining maximum efficiency. They will also be easier to clean and maintain. Plus Zap units must not be sited so that the light source is obscured (if flying insects cannot see it the unit will not be very effective). Do not rely on area of coverage of a particular Plus Zap unit as the only criteria for choosing and installing fly zappers. There are several factors that need to be considered before deciding on the appropriate number and size of units to be installed. These would include the number of entry points including doors, windows and any other openings for instance for pipe work or extractor fans. What is the volume of human traffic through the area to be protected? What would be the normal flying insect population? What is being produced? And where is the facility located? If it is close by a lake or a rubbish tip then there will be a greater risk than if the facility is in the middle of an industrial estate. 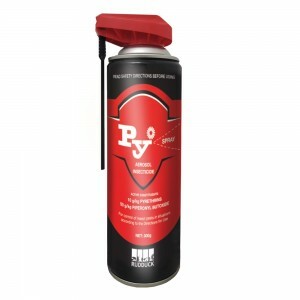 Plus Zap should not be installed in areas where they can be affected by air currents. Avoid areas close to air conditioning vents or where draughts may be a problem. This is because flying insects on the whole do not like moving air and Plus Zap units placed in these areas may be less efficient. Plus Zap units are often placed directly in front of doorways - the logic of the installer being that this is where the insects enter and so they will be more easily caught. In fact this will only encourage insects to enter and make the problem worse. It is better to install Plus Zap units off to the side of doorways ensuring as much as possible that the light does not shine out of the open door. Never ever install Plus Zap units directly above a processing line or food preparation area. The Ultra Violet lamps are highly attractive to flying insects and will attract the insects to those areas. 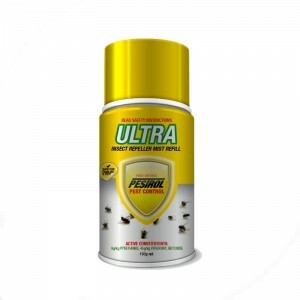 Better to install the Plus Zap units away from sensitive areas to attract the insects and kill them away from the critical areas to be protected.